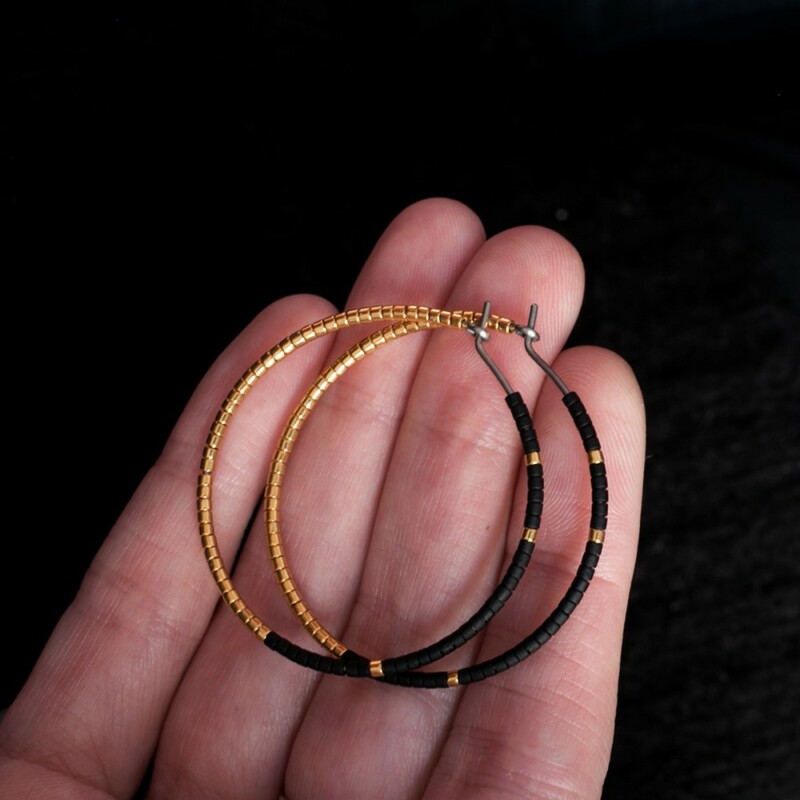 Handmade titanium hoop earrings with tiny black and gold glass beads. Comfortable and light to wear. 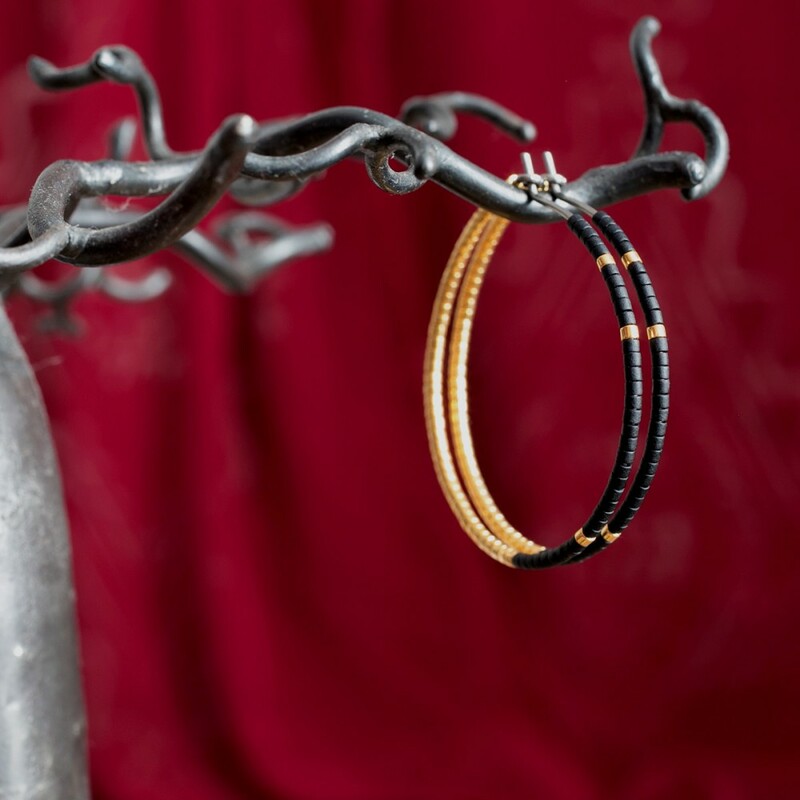 These hoop earrings are made with pure titanium wire (grade 1 - surgical quality). Ideal for women who have sensitive ears. 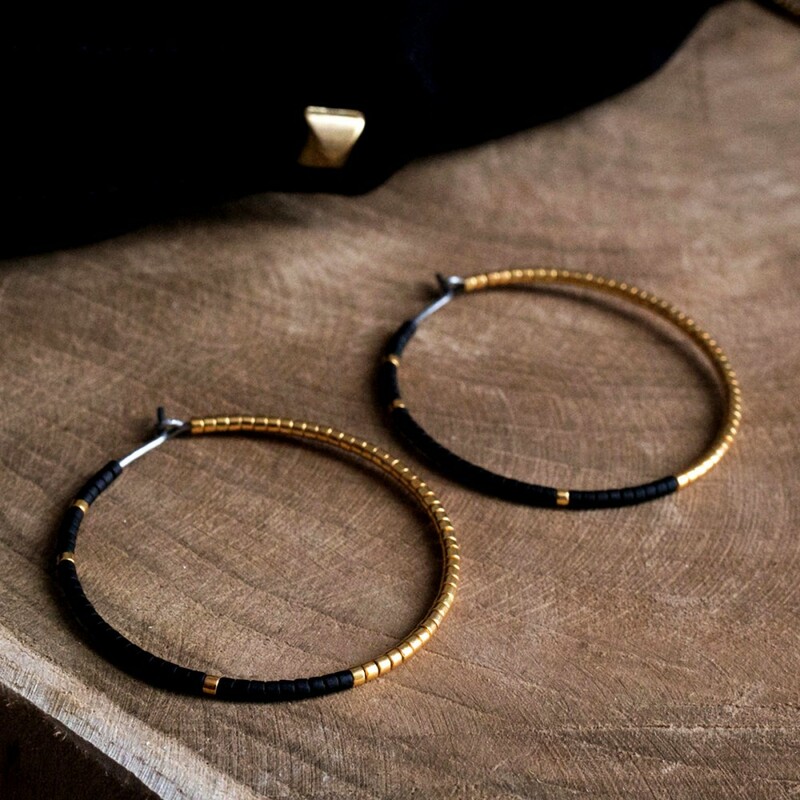 The hoops measure about 3,8cm in diameter and are decorated with tiny gold and black glass beads. The black beads are opaque and frosted, tinted in the mass. The golden ones are 24K gold plated. Titanium is a biocompatible metal, ideal for sensitive skins. To clean them, use soap and water, then dry with a soft cloth.